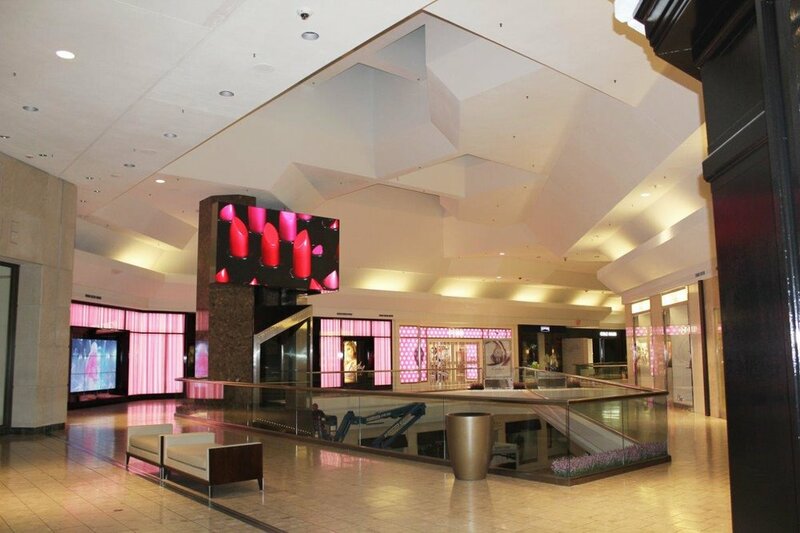 New LED video displays were installed in The Mall at Short Hills, an upscale shopping center located approximately 30 miles west of Newark, NJ. 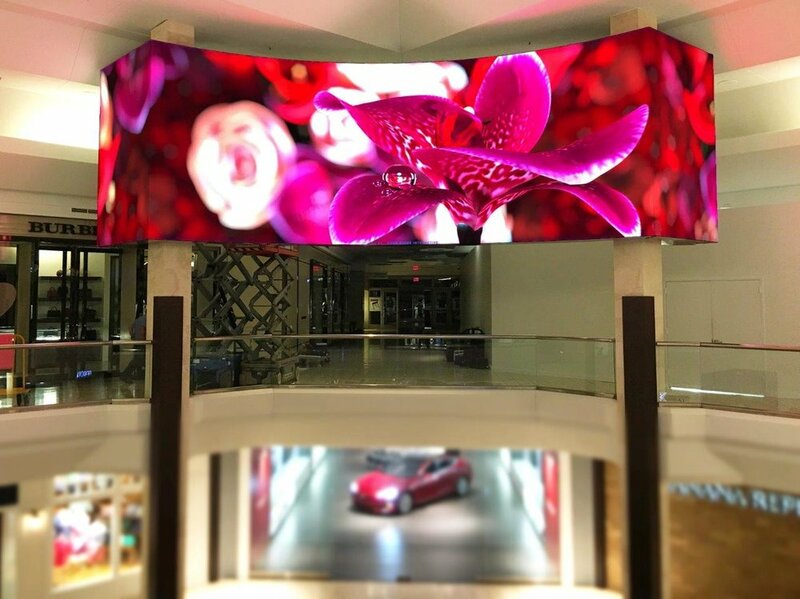 The Short Hills Mall project consists of two separate LED video displays, both feature a 4 mm pixel pitch, meaning the center of each pixel is 4 mm (.16") from the center of an adjacent pixel. 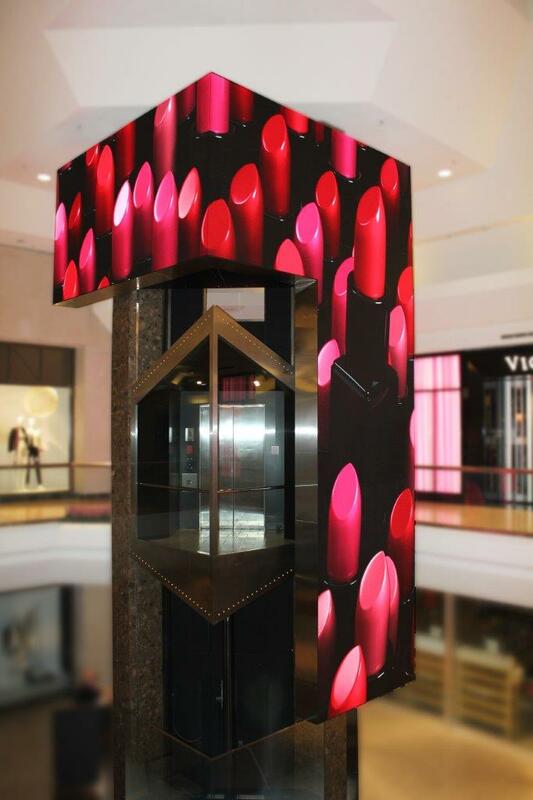 The first 4 mm display rises from a concourse area of the mall in the view of second-floor viewers. It has two end pieces and a concave radius display. 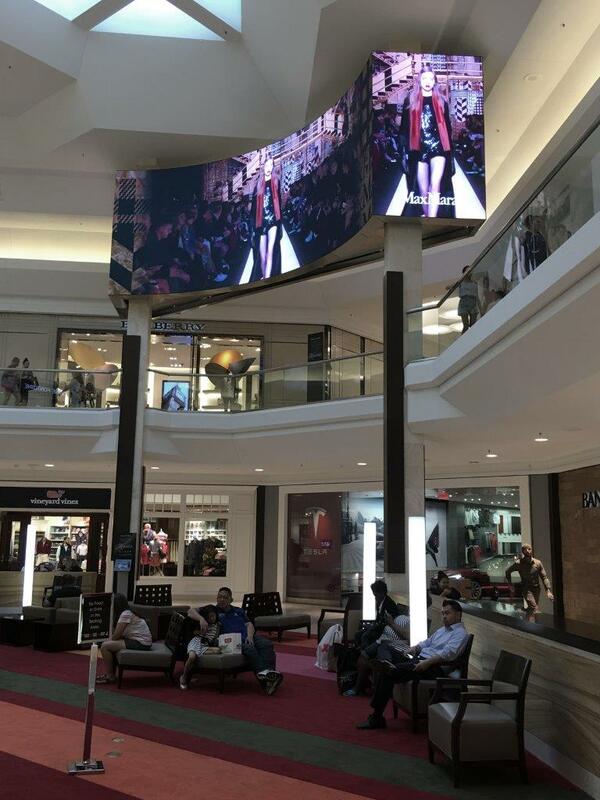 All together, the LED video screen is 816 pixels high by 3,216 pixels wide, a total of 2,624,256 pixels. The interior mall display is 10'9" x 42'3". 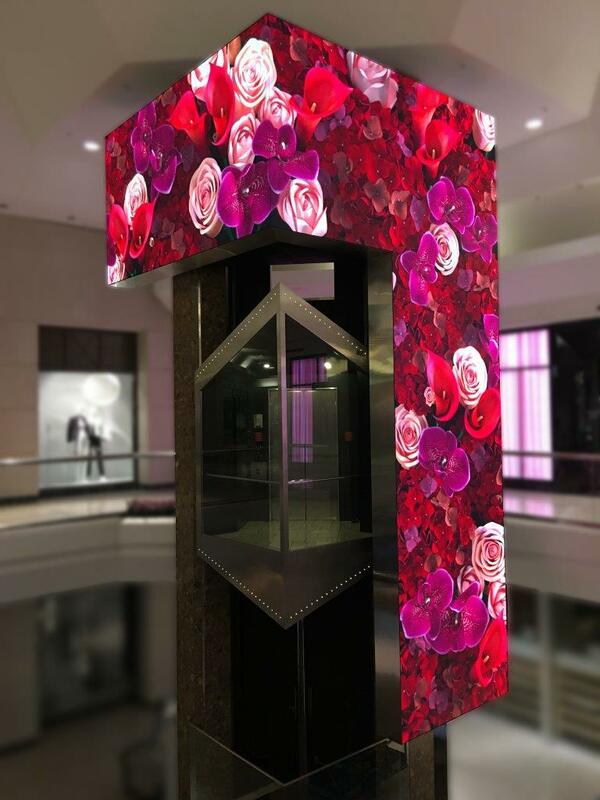 The second LED screen is an upside-down L-shaped display that also wraps around the exterior of an elevator shaft in the mall. 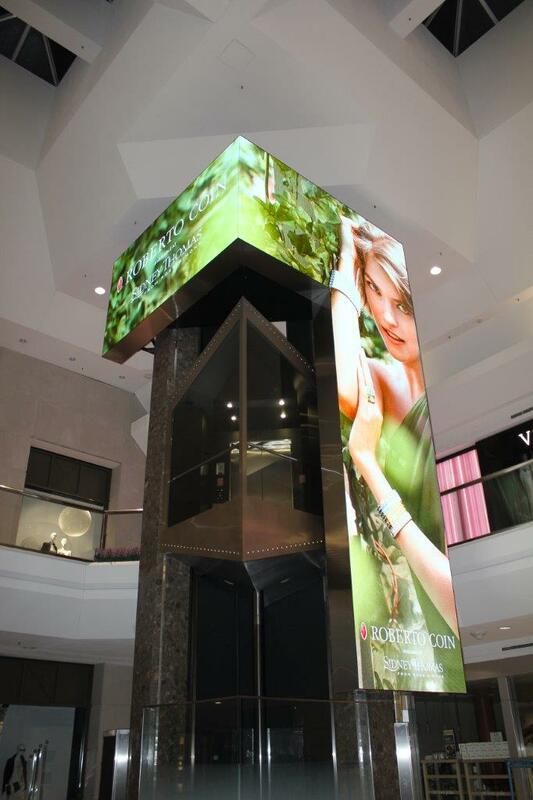 In total, the 4 mm screen is almost 28 feet tall and consists of 2,101,248 pixels and approximately 365 square feet. 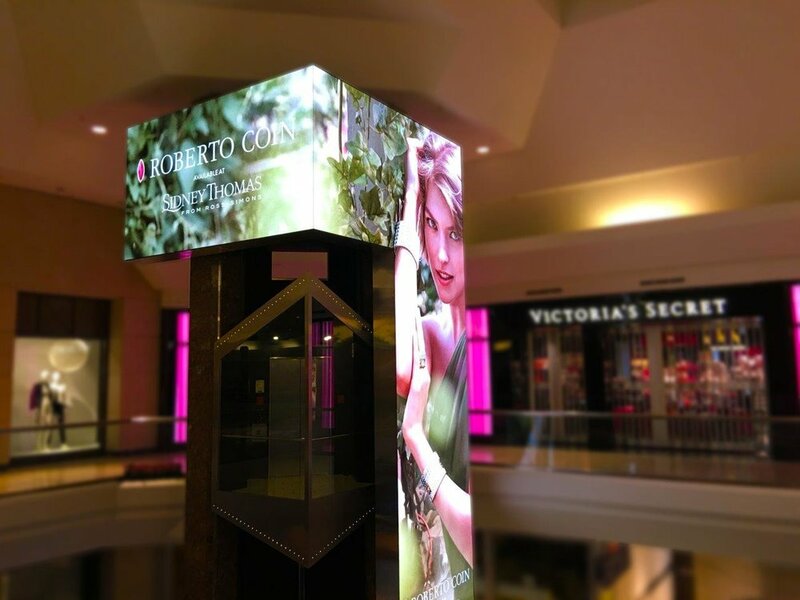 Both LED S|Video™ mall displays employ surface-mount device (SMD) technology, where the LEDs in each pixel are packaged together, allowing for crisp, clear imagery and a widened viewing experience. 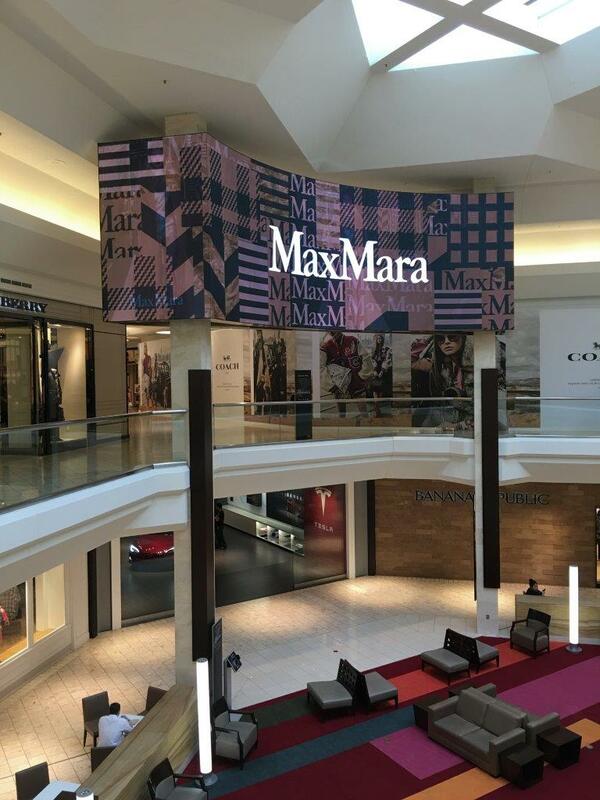 Contact S|N|A for information on mall LED video displays, other LED screens for interior spaces, or other products and services offered by SNA.